With each year passing it is getting more and more cheaper to afford space. Let me clarify, by space I refer to virtual space on hard drives and computers (Thanks to HAMR tech) and not space in the real world which is getting more and more difficult to procure. Currently you can get a 16TB hard disk at a mere price of $1.6 per gigabyte which in the 90’s would have set you back one liver, two kidneys, two eyeballs, your soul written off to Satan and one goat. The reason behind this slashing of price is because of more and more scientifically advanced methods to store data, from parallel magnetic storage to HAMR Tech. This article shall take you through how HAMR functions and what are seagate’s plans to bring this out to the real world. The basic gist of storing data lies within the use of magnetic recording to store bytes of data. Currently data on a hard drive is stored on tiny magnetic grains that sit on a disk, in these single bytes of data in the form of 1’s and 0’s is stored in each grain. The limitation arises when it comes to the size of these grains. There is a limit to the size of the grain that can be achieved, this answer is provided by physics. Each magnetic grain aligns itself in a certain direction signifying the byte that has been stored in it, as the size of the grain goes on becoming smaller, the grain becomes more and more unstable. This leads to it aligning in random directions and causing problems in memory storage. What HAMR plans on doing is, it plans on heating a small region in the discs to temperatures of about 400-500 degree centigrade so as to stabilize the magnetic grain and cool instantaneously as soon as memory is written onto these grains. The above method allows us to store a lot more amount of data in a much smaller space thus allowing us to increase the capacity of data storage devices. 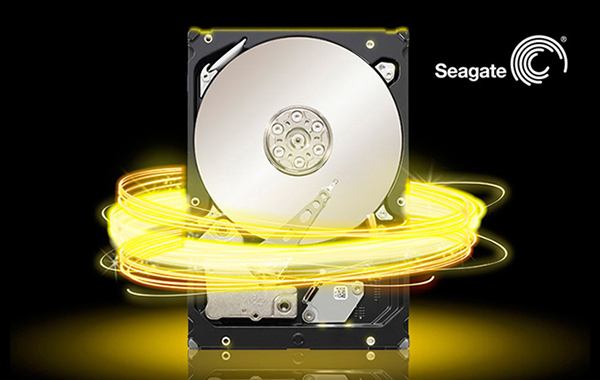 Seagate will use heat to increase density much further than they can be with traditional PMR (perpendicular magnetic recording), which thus increases the overall areal density and storage capacity. Heat is used to make target areas of the drive more receptive to magnetic effects, and allows smaller spaces to be written to, which is increasingly more important as areal density continues to climb. The above road maps conclude how in the near future due to the presence of stabilized HAMR tech we should be able to achieve storage of north of 90Tb thus allowing us to store more and more information on hard drives and less and less information in our brains. If you are a college student, then you are already in step 2 of this current plan.